Along with the various other challenges I am partaking in I will be dipping in and out of 'Monkey See, Monkey Do' which basically is a concept created by The Crumpet. 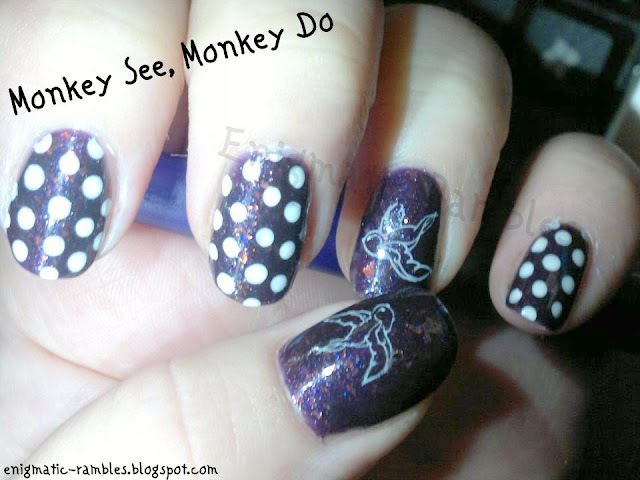 See nail art and inspired by it = Monkey See Monkey Do! Anyhow, really liked the rockabilly style of the nails and wanted to use my new Q1 Konad stamp.